Last night two neighbours sat down for a chat. An older man engaging with a younger one, hearing tales of his formative years, his family and education, his future plans, his views on foreign affairs, Europe, the banks; drawing out his opinions and inciting him to hold forth passionately on matters close to his heart. However, this is not a conversation over a glass of wine by the sitting room fire, or in a cosy corner of the Princess of Wales, but miked-up in the Kennedy Hall of Cecil Sharp House, Primrose Hill, in front of an audience of hundreds. The man asking the questions had just rushed over from presenting the Channel 4 news – Jon Snow – and the man sharing his thoughts was none other than former Foreign Secretary and Labour Party leading light, David Miliband. 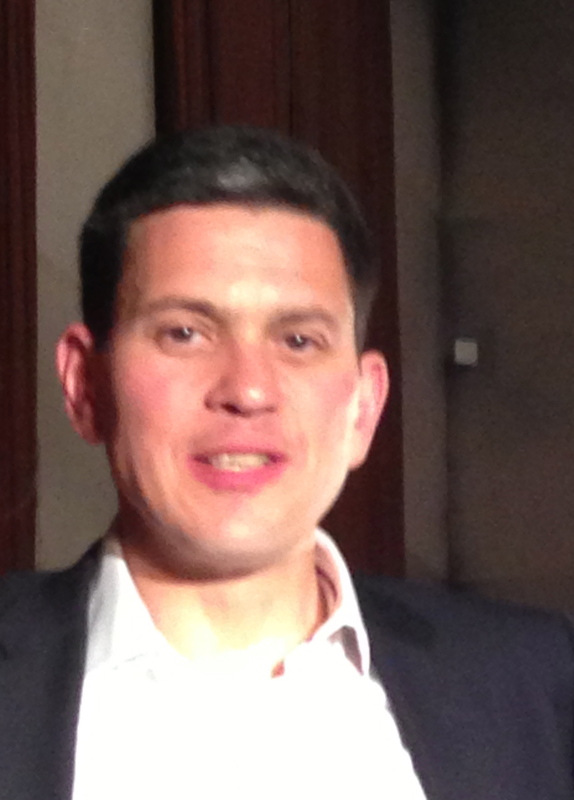 Miliband recently stood down as MP for South Shields and is leaving our shores shortly to take up the position of President and CEO of the International Rescue Committee in New York. However, in order to raise funds for the Primrose Hill Community Library, he made his last major public appearance at Cecil Sharp House last night. The reflections of any former Foreign Secretary will always be a privilege to hear first-hand. Bringing his experience to bear on current world events, any possible response to the Syria conundrum that now presents itself, he said, is coloured by experience: should we intervene, as we did in Iraq, or should we not, as was our response to the Balkans in the 1990s? Non-intervention, he pointed out, is as much an active choice as intervention. Invited by Snow to consider his political regrets, he told us that foremost amongst these is the 2003 invasion of Iraq because, he stated firmly, there were no WMD. Afghanistan too gave him cause for regret: we failed to help the Afghans build a political system that supports all groups of Afghan society, he told us, so we left a political settlement that couldn’t stick. 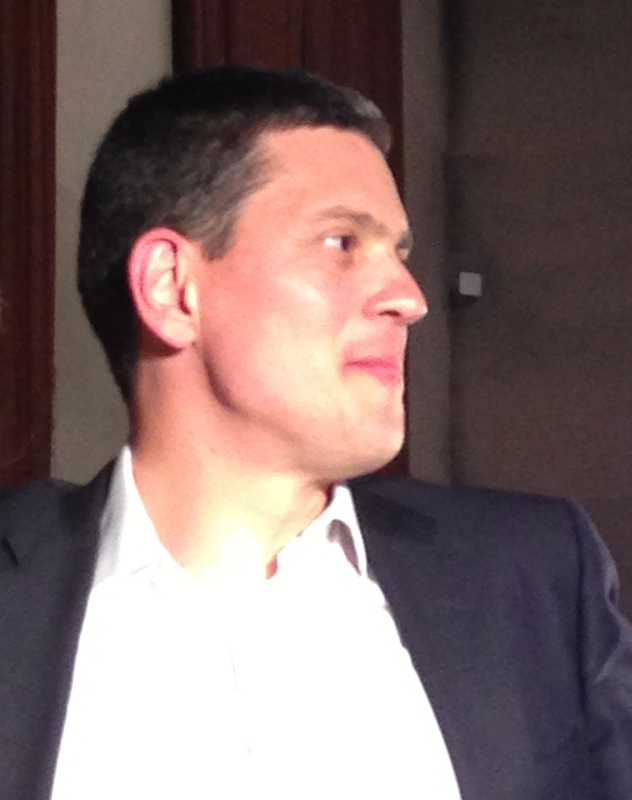 Much has been made of Miliband’s background, as the intellectually-privileged son of the late Marxist theorist and academic Ralph Miliband. His family was never part of a ‘salon’ culture, he insisted, but he was well aware of the unusual circumstances his father’s status as a leading left-wing thinker could create. He told us that in his mid-teens, doing his homework alone in the house one day, Joe Slovo, a prominent figure in the ANC and leader of the South African Communist Party, turned up unexpectedly at the Miliband home. The young David entertained him with a glass of water whilst hearing at first hand, deep in the dreadful days of apartheid, of his impromtu guest’s experiences. Meanwhile, Miliband pointed out, his experiences as a pupil at Haverstock School reinforced the realities of life faced by others. He remembered aloud the boy at school who, he admits, was better than him at maths but who had to leave before taking his exams, in order to get a job. Was Miliband ‘a toff amongst plebs?’ wondered Snow. ‘No’, came the tersely emphatic reply. 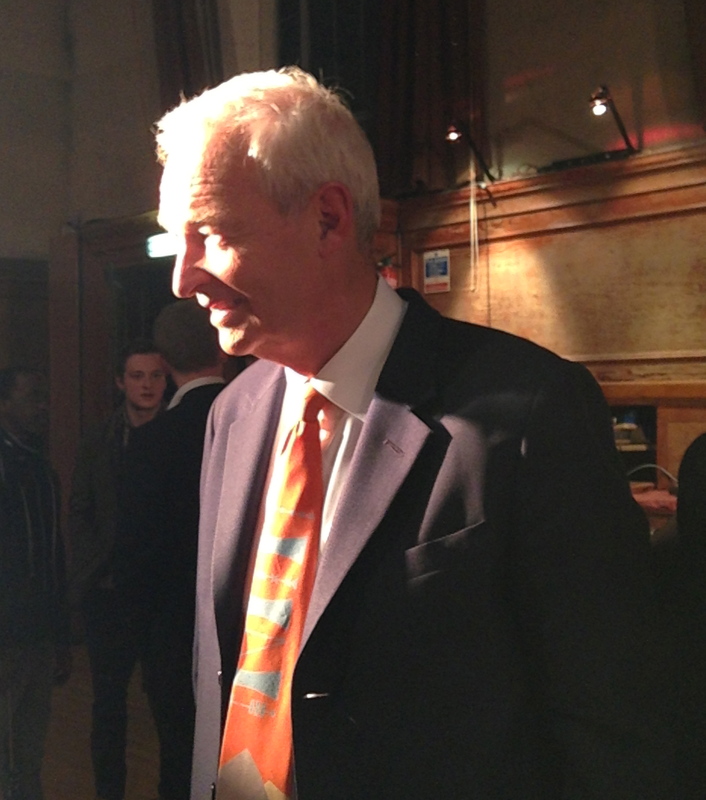 Well, the qualities that so charmed the American Secretary of State were present in abundance at Cecil Sharp House, and his appreciative audience clearly enjoyed his vigorous and thoughtful responses to Jon Snow’s well-judged questions. ‘The last word?‘ asked the posters. Let’s hope not! 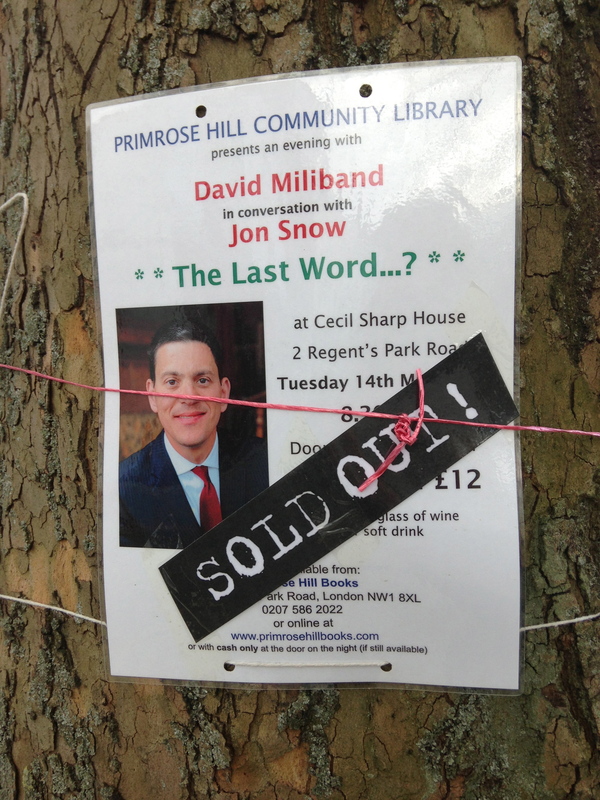 It is a testament to the Primrose Hill Library’s standing in the community that two titans of public life were prepared to give up their time to support it, and that tickets for the event flew out of the Primrose Hill Bookshop with such speed. And how generous of the EFDSS to donate use of Cecil Sharp House for the occasion. The ongoing success of the library, founded on the willingness of the community to support it and the enthusiasm of volunteers to staff and organise it, is well worth a celebration, and last night, thanks to the efforts of all those involved in organising it, was exactly that.